After a good year of processing my eco guilt about becoming a yarn consumer, I’m finally ready to really put on the brakes on yarn shopping. Especially after reviewing The Handknitter’s Yarn Guide, it really hit home that not every yarn choice is sustainable or good for the environment. I understood this before, but I was caught in the newbie glee of buying crochet supplies. So here we are, at a decision that it’s time to stop buying yarn, dun, dun, dun! Do you think it’s time you went on a yarn diet? OK and truth be told, the other reason I’m thinking of not buying any more yarn is because I’m swimming in it over here. I could open my own yarn shop just from stocking up when something looks nice or goes on sale. I don’t need to explain this, fellow hoarders, right? I love a good challenge, it’s a great way to build a new habit and sometimes the only way I can get going. Flossing, working out, whatever. Sometimes making it personal challenge gets it done. 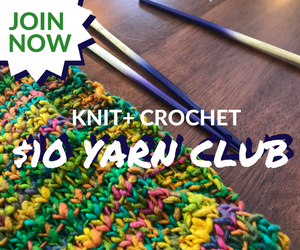 Would you like to join me in using up the yarn we have first before buying more? 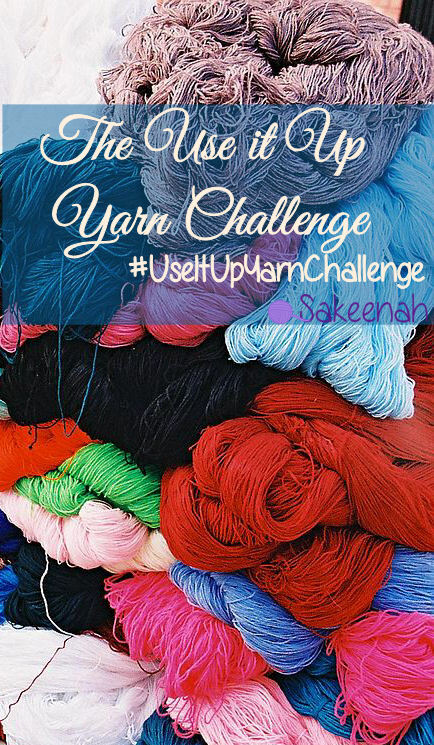 I’ll be using the hashtag #UseItUpYarnChallenge on Instagram on any project I made using up my current yarn stash. It would be so much more fun with some friends. 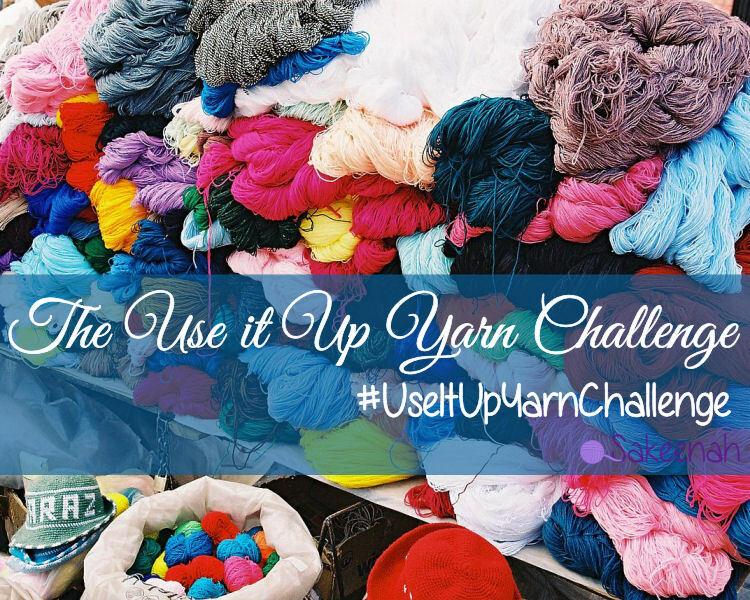 If you are ready to commit to the no new yarn challenge, just use the #UseItUpYarnChallenge and we will all find each other. My own personal rules: wait what? she sounds like she is backing out already! I gotta eat, so if I get commissioned I’ll try my best to source the yarn in the most environmentally responsible way possible if my stash can’t fit the bill. Will you accept the challenge? What personal rules would you stick to? Like this? Use this image to pin. Or Repin Here. Yarn image, Creative Commons license. 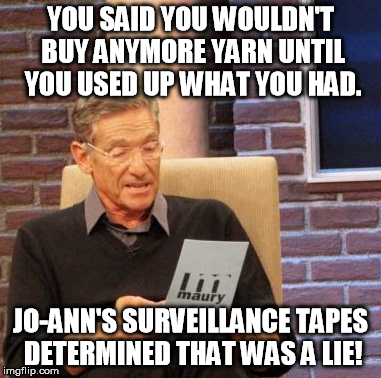 I guess I’ve kinda been on a yarn diet. I have so much yarn just sitting that it’s driving me nuts. I feel like it doesn’t match. It’s all yarn that I bought at the beginning of my yarn obsession, so it doesn’t have much rhyme or reason. maybe I can make a scrappy looking crocheted afghan or something. wa laykum salaam 🙂 Great job, I’m so proud of you, it’s not easy sometimes! It really makes you think of all the ways you could be a little more resourceful about sourcing supplies.